Speak with a Sales Consultant Today! The process is very simple, contact a sales representative today!. As easy as 1,2,3. Select your items and logos, select your store dates, and from there we build out the store! We have various options for any budget range. Let ProPlayerTeam help you out today! Fast Setup! You choose your Logo’s, Your Designs and Items! Our sales consultants can help you find the items you want! Stop Collecting Checks! Our team stores are hosted online making it easy for players and parents to purchase products online. We Provide Team Flyers! Make it easy on yourself! 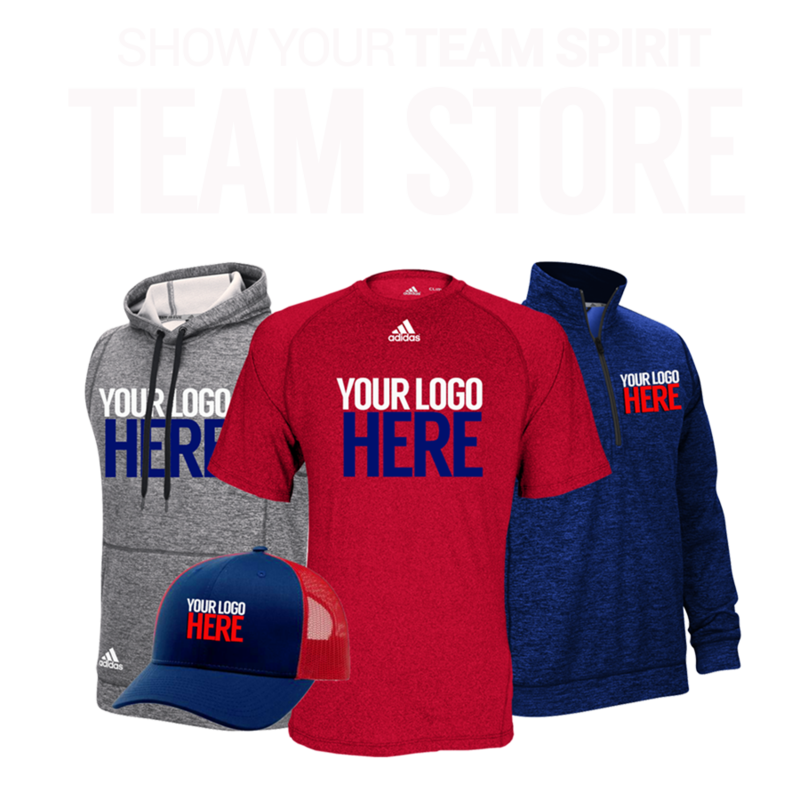 We provide team store flyers for you to pass along to your players and parents. Earn Store Credits on every purchase! Let the store do the work, Fundraising made easy! EASY SET UP! GET YOUR STORE TODAY! Work with a Team Sales Specialist Today! We can get your store set up fast and with the gear you want! The store is free. Our Team Stores are completely custom and simple to create. You choose the items on your page. The easiest way to begin your team page is to contact a team sales representaive at (800) 657-7630 or populate the form here.